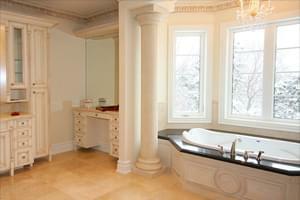 Marble Columns are the way to go to enhance your mansions beauty. 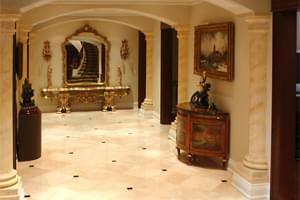 They can be fluted for a more detailed look or smooth for a minimalistic appearance. 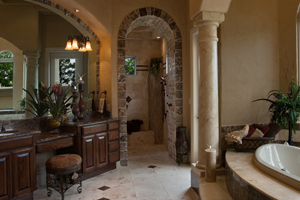 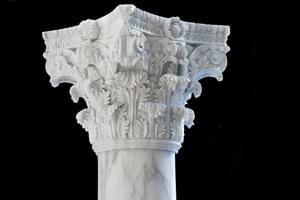 Being custom made out of marble or limestone allows these columns to be placed anywhere, indoors or outdoors. 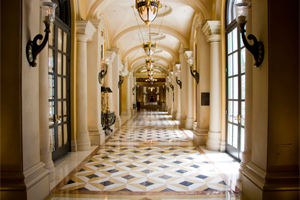 Therefore these marble columns are perfect for adding some extra beauty to your pool side or even around your garden; they can even be placed on your foyer for a beautiful entrance that will make your home a show stopper. 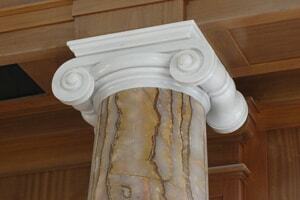 These columns capitals are carved out of marble or limestone which allows these columns to be hollow or full body, depending on your needs; they can also be custom made in many different sizes and shapes such as half cut pilaster for a hallway runner or square for a bold modern aesthetic. 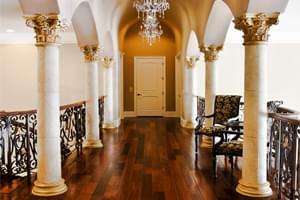 Marvelous Marble Design can custom make these natural stone columns out of Italian marble or French limestone to suit your taste.